Get kids to think on their feet! 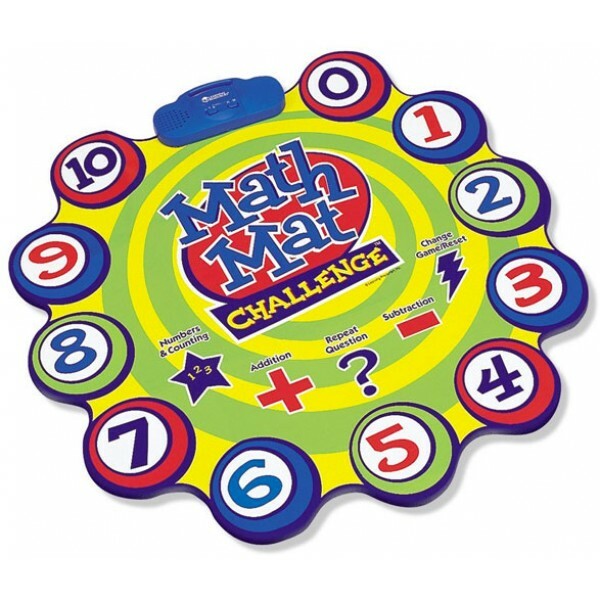 Interactive talking floor mat with fast and crazy quiz games make learning math fun! Kids listen to the equation, do the math, and then step on the right answer. The game gets faster as their scores get higher! Features three games with two skill levels that reinforce numbers, counting, addition, and subtraction up to the number 20. 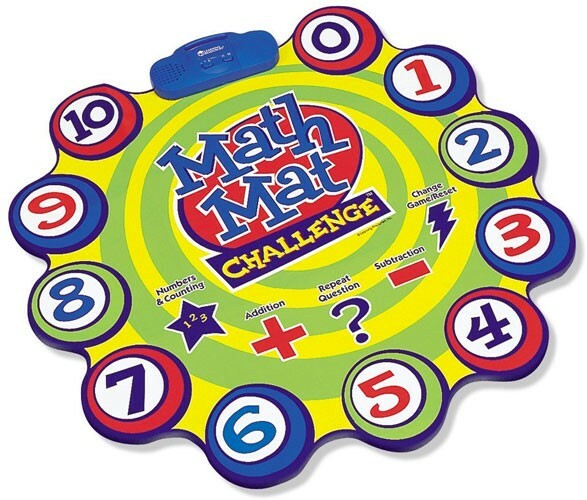 This mat measures 32" in diameter. 3 AA batteries are required (not included).